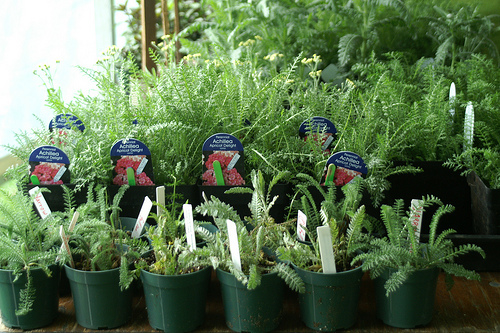 Our plant sale will be held in conjunction with Mass Hort's Gardeners' Fair. The proceeds from this event help support educational projects, including our Teaching Herb Garden at MHS Elm Bank. 900 Washington Street (Route 16), approx. 1 mile west of Wellesley College. Detailed directions. We'll be located next to our Teaching Herb Garden and the Education building. Mass Hort members free with valid membership card. This year, in addition to wonderful herb plants, native plants, and free plants for our fledgling children gardeners, the New England Unit of The Herb Society of America is offering a special selection of ‘Vintage Garden’ items to add a bit of history and character to your own personal garden landscapes.